Who doesn't love a chocolate bar? 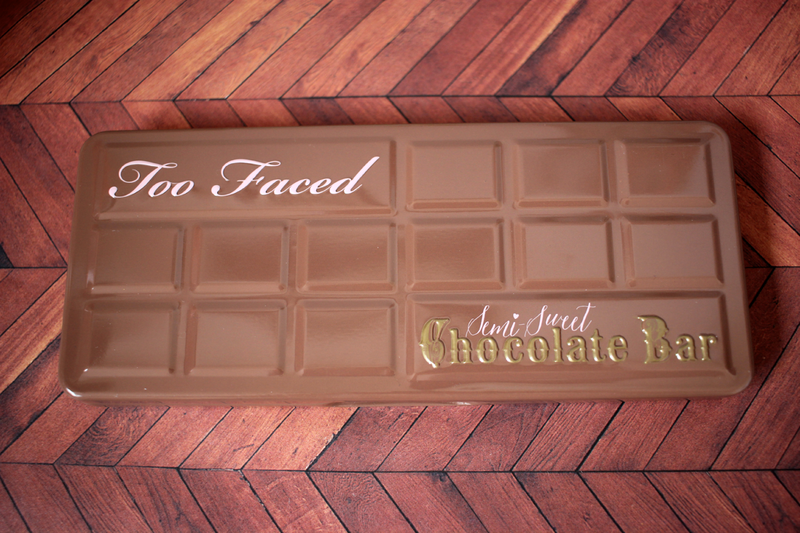 I was so excited when I saw Too Faced was coming out with the Semi-Sweet Chocolate Bar Palette. I noticed right away the color difference between this one and the regular Chocolate Bar Palette. 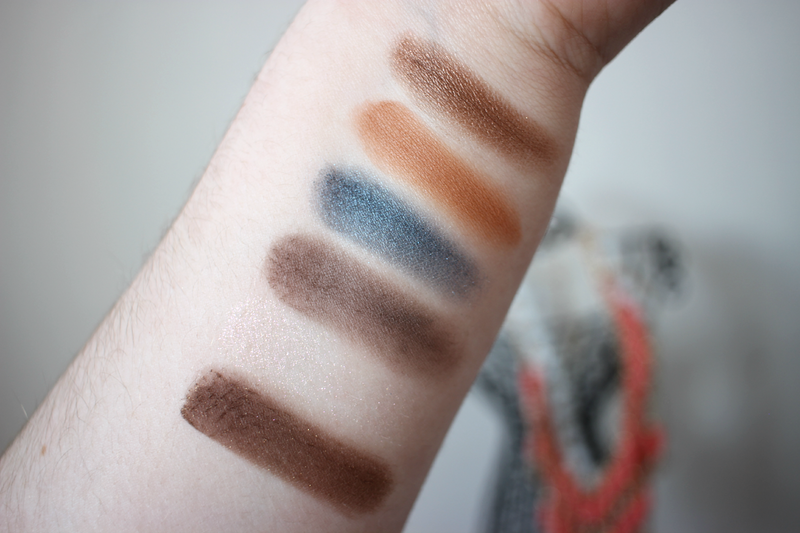 This palette comes with more warm toner colors and all of these shades were right up my alley. Licorice- This shade is matte black shadow, I noticed right away that this color did apply a little patchy. It wasn't as opaque as I was hoping for. Nougat- This shade also a matte finish. It is a peachy light mauve pink shade. Truffled- again is a matte shade color. It is a beautiful medium brown shade, I thought this shade had wonderful color pay off. Hot Fudge- Just the name makes me want to crave chocolate. This shade is a dark brown with a frosted finish. I was not impressed with the color pay off on this shade. It did apply pretty patchy. Cocoa Chili- The shadow its self is a matte deep brown, but there is a tiny hint of glitter. It flecks off so its barley even noticeable. So its not shimmery, so I would just consider the shade its self matte. Pink Sugar- I feel like this color was a waste in the palette. There is no color, just glitter. It is very sheer, and I will probably never wear this shade. I wish they would have replaced this color with more of an opaque light pink. Puddin'- This is one of my favorite shades in this palette. It is a beautiful taupe with a hint of grey. It is also a matte finish. Blueberry Swirl- I like that they included a fun shade in this palette. This shade is a frosted finish, and the color is a beautiful blue with tons of shimmery. Peanut Butter- By far my most favorite shade in the whole entire palette. It is a matte finish and if just a beautiful orangish brown. This is a great transition color. Frosting- Is a bronzy brown and has more of a frosted finish. I thought the color pay off was really good. Rum Raisin- Is a taupe brown with a metallic finish. Mousse- This is also another one of my favorite shades. It's a medium brown with a grey undertone. It has a matte finish. Caramel- Is a very shimmery golden shade. 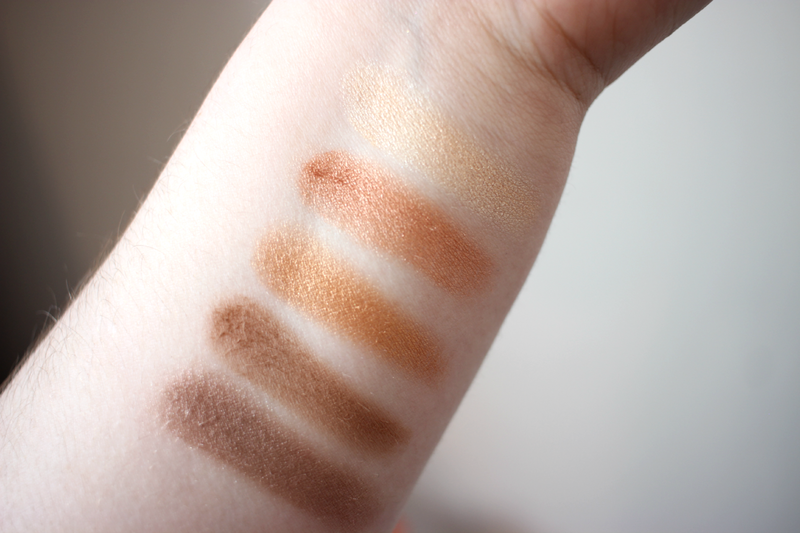 I thought out of all the shades in this palette that this shade was the most opaque. The color pay off was amazing. Bon Bon- Another one of my favorites! It is a more of a rose gold shade and it is very shimmery. It was also very opaque and looks amazing all over the lid. 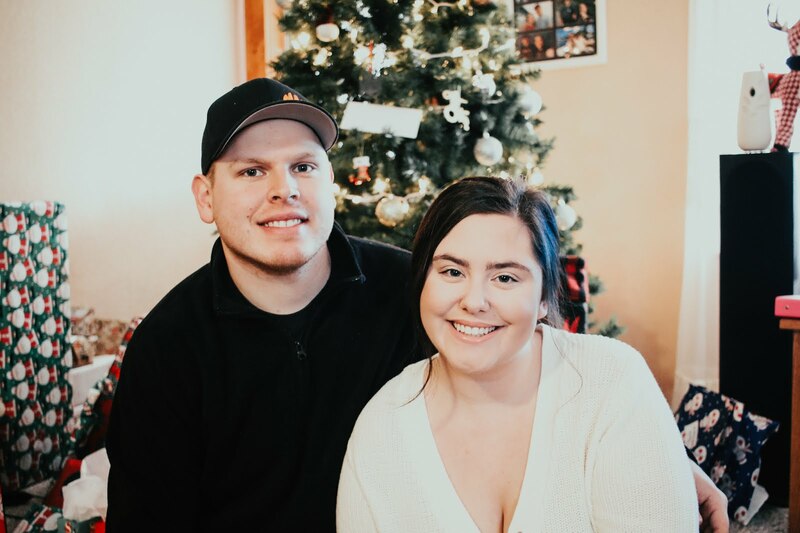 Butter Pecan- Is a light gold with a little hint of peach. It also has a little shimmer. 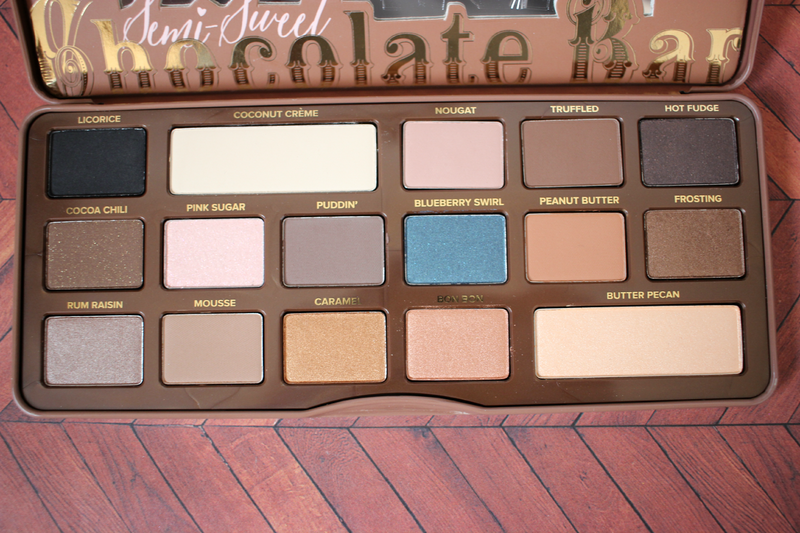 Overall I like this palette better then the regular chocolate bar palette. 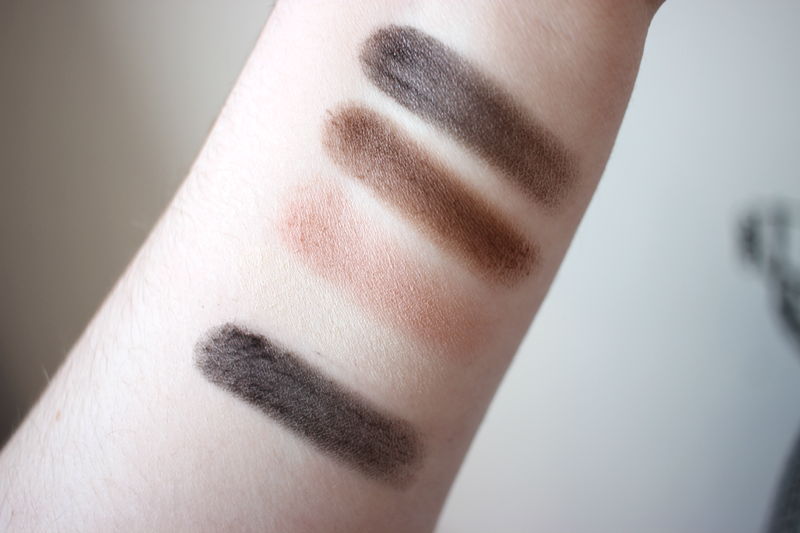 A few of the shades were a hit and some were a miss. 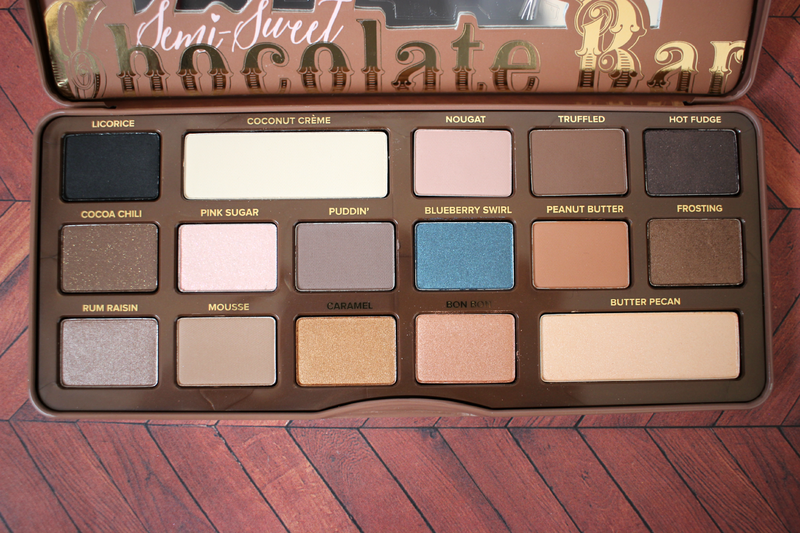 I think this palette has more versatile colors and can create many beautiful looks. And it also smells just like chocolate!